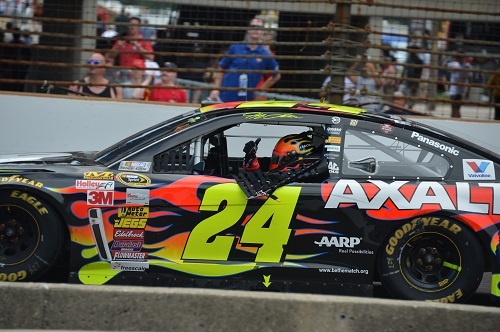 When events at the Kentucky Motor Speedway postponed Jeff Gordon Day from July 9 to this Thursday, July 23 in Pittsboro, a lot of fans, visitors and Hendricks County residents were bummed. After all, how could you not be excited about Gordon, the four-time NASCAR Cup Series champion and five-time winner of the Brickyard 400 at the Indianapolis Motor Speedway, returning to the town his family moved to when he was 14 to boost his racing career? But that change will turn out to be everyone&apos;s gain who can attend on Thursday as the extra couple of weeks allowed event organizers to expand its plans for the day including a band for live entertainment, kids activities and more. Working in conjunction with the Indianapolis Motor Speedway, Pittsboro leaders want to celebrate Jeff Gordon Day in grand style in advance of his final appearance at IMS on Sunday for the Crown Royal presents the Jeff Kyle 400 at the Brickyard. Gordon, who announced earlier this year that 2015 would be his final year as a full-time driver, actually approached IMS officials about having a parade in Pittsboro as a way to give back to the community where he still has a lot of friends. "Everyone in town is excited he is coming back to Pittsboro," said Christi Patterson, Pittsboro&apos;s Chief of Police. The man, affectionately known as the Rainbow Warrior for the iconic paint scheme that used to be on his No. 24 Chevrolet, will be in attendance for Jeff Gordon Day. The day will begin at 9 a.m. with signups for a drawing to win a Meet & Greet with Gordon. Ten lucky fans who sign up between 9 and 11:30 a.m. Thursday at the Visit Hendricks County booth in Scamahorn Park will be chosen for the experience. Beginning at 10 a.m., the Band Fonda will perform on the Main Stage in Scamahorn Park and vendor booths also will open including merchandise trailors, show cars, IMS Street Team activities and food. Stalhut Amusements will also be on hand providing rides and activities for children including bounce houses, a bungee trampoline and much more. The Jeff Gordon Day Parade begins at noon and will travel down Main Street. A town ceremony for Gordon will begin after the parade at 12:45 p.m. in Scamahorn Park. Vendors booths, the live entertainment and other activities will continue after the parade in the park until 3 p.m.
Because of previous commitments, Gordon will only be in Pittsboro for a short time, so he won&apos;t sign autographs or meet his fans in person during the event other than for those who win the drawing. Patterson said those planning to attend should check the Jeff Gordon Day website regularly over the next week for updates including a schedule and map of the event and designated parking locations. In addition to his successful history at IMS, Gordon also raced as an up-and-coming driver on the oval at what is now Lucas Oil Raceway in Brownsburg. 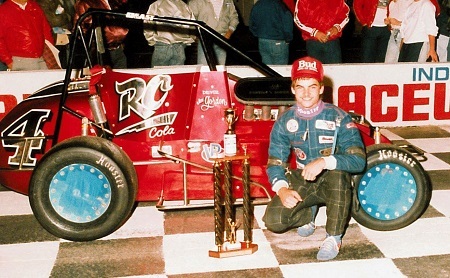 He had two starts in the early 90s in the NASCAR Xfinity Series, but perhaps Gordon&apos;s fondest memory at the legendary short track came in his very first race there. In May 1989 while still a student at Tri-West High School, he got his first break thanks to a Brownsburg shop owner who provided him a ride as detailed in an Indianapolis Star article by Curt Cavin last year. Needless to say, Gordon showed what was to come winning that USAC Midget race over other experienced drivers and propelling his racing career. You can purchase tickets for Gordon&apos;s final Brickyard race on July 26 by clicking here. Lucas Oil Raceway will also have a couple of racing events on their oval this weekend including the JD Byrider 100, a USAC Silver Crown race, on Thursday, which is fitting considering that series is where Gordon got his start, and an ARCA/CRA Super Series event on Friday.